If you are looking for beautiful pumpkin decorations for Halloween or fall, you are sure to love this pumpkin floral centerpiece tutorial. 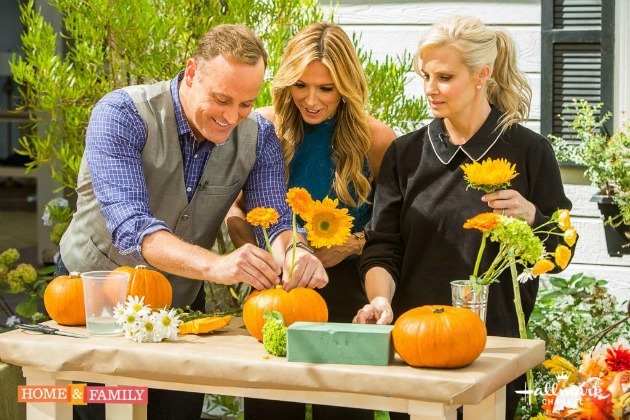 Monica Potter, star of “Bringing Back Potter”, shared these fun DIY pumpkin vases on Home & Family, which airs weekdays at 10 am ET/PT on Hallmark Channel. I was given permission to share it with you here. The beautiful DIY pumpkin vases make the perfect pumpkin decorations for Halloween or anytime during the fall season. They look fantastic on your table but you could also use them to brighten up your porch. You can get most of these supplies at your local craft store and grocery store but I have included my affiliate amazon links below in case you want to order them. 1. Soak your oasis foam for 2-3 hours before you start. You can skip this step if using silk flowers but soaking it well is key to keeping your real flowers hydrated and lasting a long time. 2. Select a pumpkin. A small sugar pumpkin in idea. 3. Cut the stem and surrounding area out of the pumpkin. Using a fun star shape lets teh flowers spill out in a pretty way. 5. Put grapefruit seed extract at the bottom of pumpkin. This keeps any bacteria from growing in the water and helps your pumpkin last longer. 6. 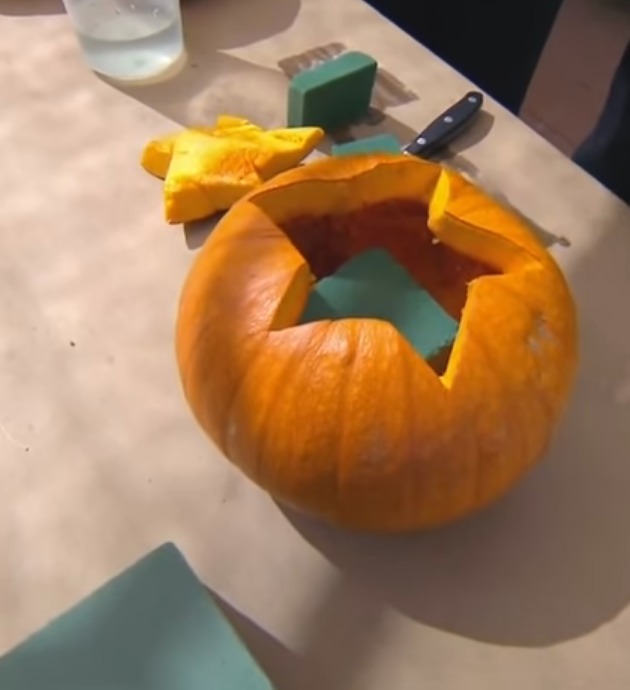 Cut your oasis block to size and insert into the pumpkin. 7. Stick flowers into the oasis foam to desired heights. There you have your fun easy diy pumpkin vases. What a fabulous Pumpkin Floral Centerpiece for your dinner table this fall! 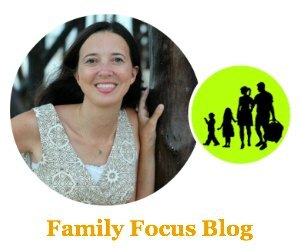 You can watch the video clip of how to do this and Monica also shares an emotional story about buying back and renovating her childhood home. 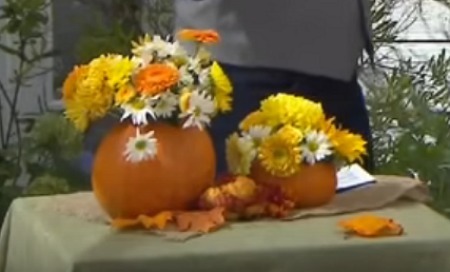 Do you think you will try making a Pumpkin Floral Centerpiece? Will you use your pumpkin decorations for Halloween or Thanksgiving? This is a beautiful fun craft/activity for the fall. Thank You for sharing!